What was the situation in the Pre-GST era? Will renting out a property attract GST now? What is the effect of GST on rent? Who is required to register when property is rented to businesses? How is GST calculated when you rent out a property for commercial purposes? What are the ITC provisions when GST is charged on rent? What is the provision for a tax deduction on income tax for the rented property? The implementation of Goods and Services Tax (GST) has chalked out a structured approach to collect taxes from various sectors. Rent has been the source of Income for many over the years. In this article, let us talk about the impact of implementation of GST on rent, Let us also see if GST varies for commercial properties and residential properties. 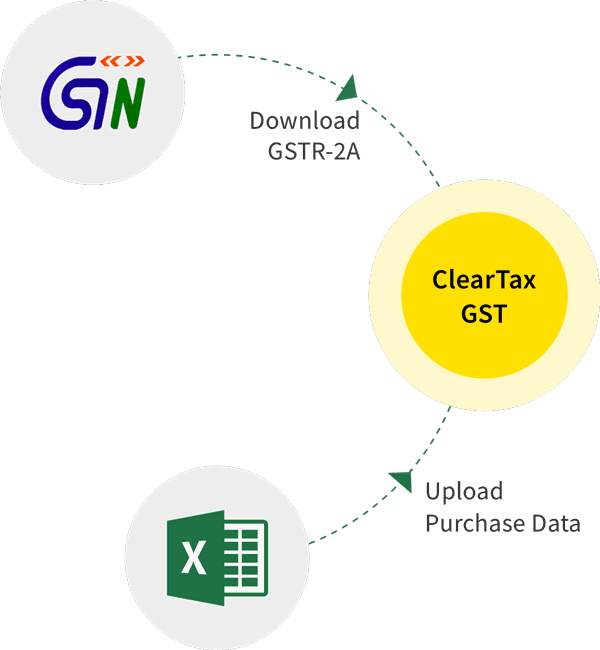 Pre-GST, the landlord had to obtain a service tax registration if his total taxable service (including the rental income from all properties) exceeds Rs. 10 lakh per year. As long as the rental income (from all the properties that have been rented-out) does not exceed Rs 10 lakh per year, the landlord would not be attracted to service tax. These type of renting is considered as a supply of services and thus would attract tax. After GST was implemented, the threshold limit for applicability of GST has been increased to Rs.20 lakh from Rs.10 lakh that was in the pre-GST era. This makes many landlords – who were earlier covered under the service tax regime to be at ease now up to another Rs.10 lakhs earned. Manish resides in Bangalore and has a property in Hyderabad that is rented out to B ltd. for use as guest house. For the Hyderabad property, he is getting a rent of Rs. 30,000 monthly, or Rs. 3,60,000 per annum. Under GST, the place of supply shall be the location of the immovable property. Therefore, even though the person resides in Bangalore, the place of supply will always be where the property is situated, which is Hyderabad in this example. Here, the rental amount is lesser than Rs. 20 lakh a year, thus it is exempted. It needs to be noted that, though this property is used for residential purposes, it cannot be said that the rent that is received is that from the residential property as this property is given to a company for their use. How they use the said property is not the deciding factor. Who is required to register when the property is rented to businesses? A taxpayer earning more than the exempted threshold will have to register under GST and pay taxes. So, if you have given your property to businesses, then it is taxable if you are getting more than Rs 20 lakh as rent and you will have to register yourself under GST. For all commercial spaces that are on rent, GST will be applicable at 18% on the taxable value and rent would be treated as a taxable supply of service. The person paying GST on rent can usually take credit for this tax paid to pay his other tax dues. In other words, If all the provisions to claim Input tax credit are fulfilled, ITC on GST paid on rent can be claimed. The owner of the property (which is given on rent) has to collect the GST from the person paying rent. This GST will be on the rent charged. The payer of rent has to deduct income tax at source at 10% if the rent for the property exceeds Rs.1.80 lakh per year. The TDS is applicable both to residential and commercial properties. There will no GST on TDS. Important Point to remember: GST on rent charged for immovable properties by the government or local authority to a registered person will be under Reverse Charge Mechanism. However, when the property is rented to an Unregistered person, the government would themselves deduct GST (Forward charge mechanism).